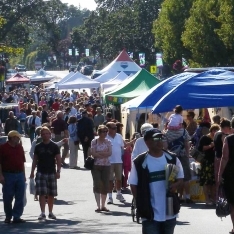 From June through to September, Oak Bay Village closes down its street and is transformed into a European style street market. You’ll find a wide range of fresh and local produce and hot-n-ready street food available. There is live music (watch out for people dancing in the street! ), a magician, pop-up theatre, face painting and balloon animals. Artists and artisans showcase a variety of unique treasures, including wood turned bowls, handmade greeting cards, glass art, fabric arts, jewelery, toys, fresh made soaps and cosmetics and preserves. The stores of Oak Bay merchants are open with special pricing, tastings, demos, sampling and more. The market comes alive between 4:00 pm and 8:00 pm on the second Wednesday of the month. 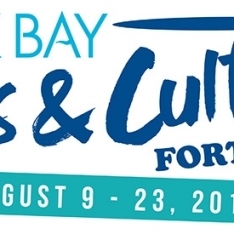 For vendor info, see the Oak Bay BIA website.